Amazon Prime has become hugely popular, and it's easy to see why. For $99 per year, customers get free two-day shipping, streaming video, streaming music and Kindle lending library. 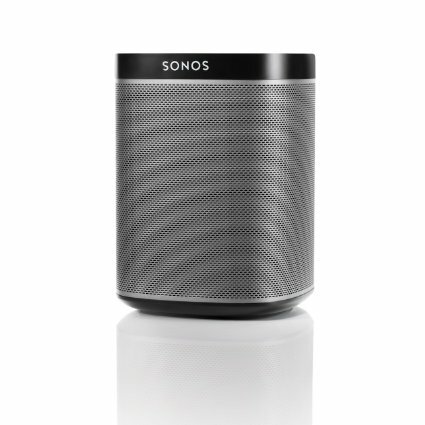 Sonos is less adopted because of the price, but if you've invested in it then you have a great whole-house audio system. Six months ago, the two came together in the US to add to your musical enjoyment and today Amazon Prime Music will be debuting on Sonos in the UK and filling British homes with tunes. This is full access, meaning over one million songs and numerous playlists. In celebration of this collaboration Amazon is holding a party. Amazon will also host a special Prime Music House Party @ Sonos Studio for lucky Prime customers who can win tickets through a prize draw. The exclusive party, which will take place on Wednesday 18th May at Sonos Studio in Shoreditch, London, will see each room themed using Prime Playlists and Prime Stations. The night will feature a special DJ performance by Mark Hill. Mark is one of the godfathers of UK garage -- an original member of Artful Dodger, he produced and wrote "Re-Rewind", "Fill Me In" (with Craig David) "Movin’ Too Fast" (with Romina Johnson) and many more. The Artful Dodger was the most commercially successful UK Garage act at the height of the scene in the late 90s. Mark now works across many genres and is widely heralded as a hugely influential writer, producer, DJ and pioneer of the UK garage scene which has been experiencing a renaissance in recent years. Amazon Prime Music became available in UK in 2015 and the company says it has been well received. To win a chance to attend the party, visit here.